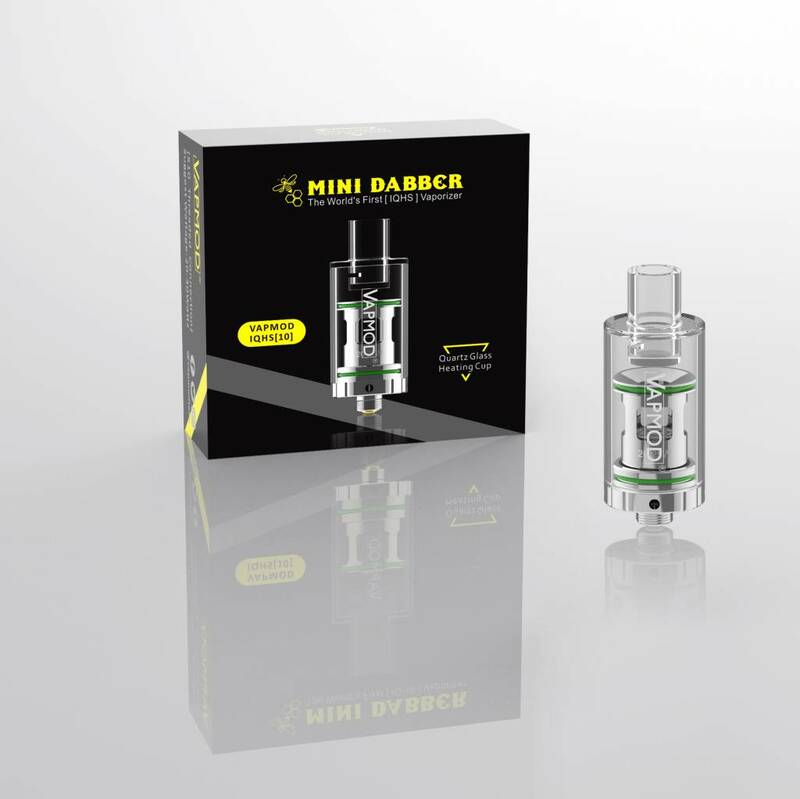 The VAPMOD Mini Dapper is a herbal concentrate tank for any 510 connection device. The heating chamber is constructed with a quartz glass heating cup and utilizes no rods. 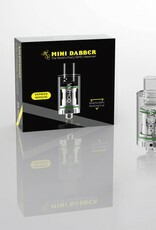 The VAPMOD Mini Dabber measures at 22mm in diameter and can be fired at 30 to 35W. Located on the bottom are quadruple non-adjustable airflow measuring at 3mm by 3mm. Located on the top of the heat-sensitive airflow base is an all borosilicate glass structure. The VAPMOD Mini Dabber is designed to deliver intense flavor output and integrates an easy to load and clean system. NOTE: Descriptions, specifications, and claims are based on manufacturer information. Information listed and provided are to be used at the sole discretion of the consumer and are not representative of analysis, testing, and verification by VaporDNA and any and all of VaporDNA's parent and subsidiary companies. There is an inherent risk with the use of any and all rechargeable batteries in any circumstance. VaporDNA™ and any and all of VaporDNA™'s parent and subsidiary companies are not responsible for damage if there is any modification of the batteries/chargers in any form or shape (including pack making). VaporDNA™ and any and all of VaporDNA™'s parent and subsidiary companies are not responsible for any damage caused by the misuse and/or mishandling of Li-ion (Lithium-ion), LiPo (Lithium-ion Polymer) and any rechargeable batteries and chargers. VaporDNA™ will not be held responsible or liable for any injury, damage, or defect, permanent or temporary that may be caused by the improper use of a Li-ion (Lithium-ion), LiPo (Lithium-ion Polymer) and any rechargeable battery/batteries. Please have a basic understanding of the batteries you are using and how to care for them properly.